3 Where is the roadmap for BRL-CAD ? 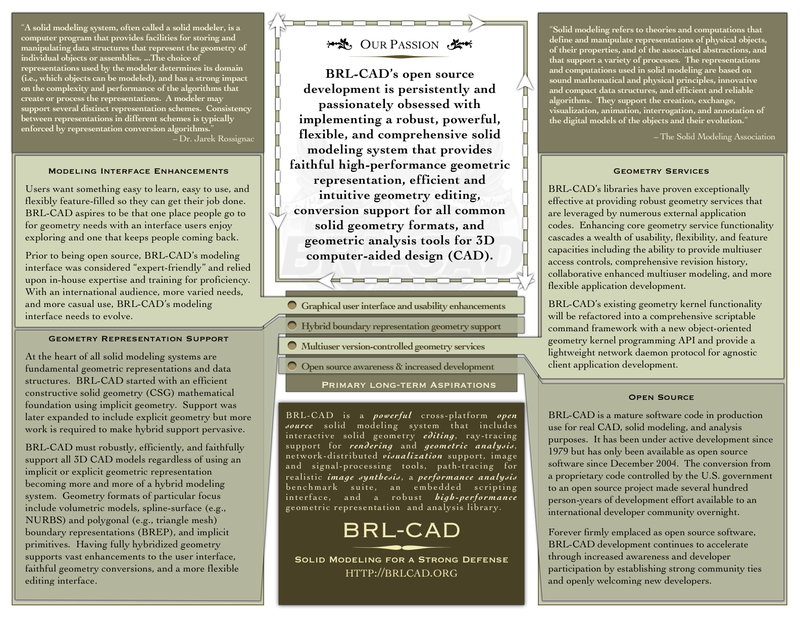 7 How should BRL-CAD be spelled? 8 How can I check out the Archer prototype (on Windows)? 9 How do I get a hard copy of what I'm looking at in MGED? 10 How can I fix the huge transparent yellow cursor when I run MGED? Where is the roadmap for BRL-CAD ? Unacceptable variations of the project name for public documentation and articles include BRLCAD, BrlCAD, BrlCad, Brlcad, BRLcad, BrlCAD, Brl-CAD, Brl-Cad, Brl-cad, etc.